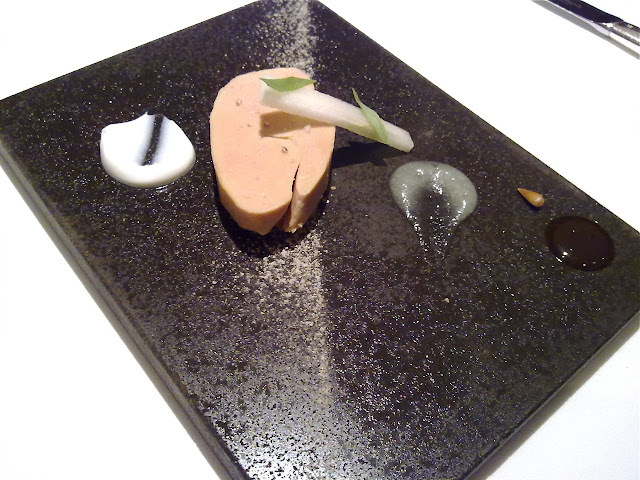 Update: In the latest 2013 Michelin Guide, Hajime lost one star and now has two Michelin stars. Hajime is a Modern French-inspired restaurant in the Nishi-ku district across the river from the main Kita-ku commercial/shopping area, located not far from the Higobashi subway station but on a nondescript street lined with shophouses. 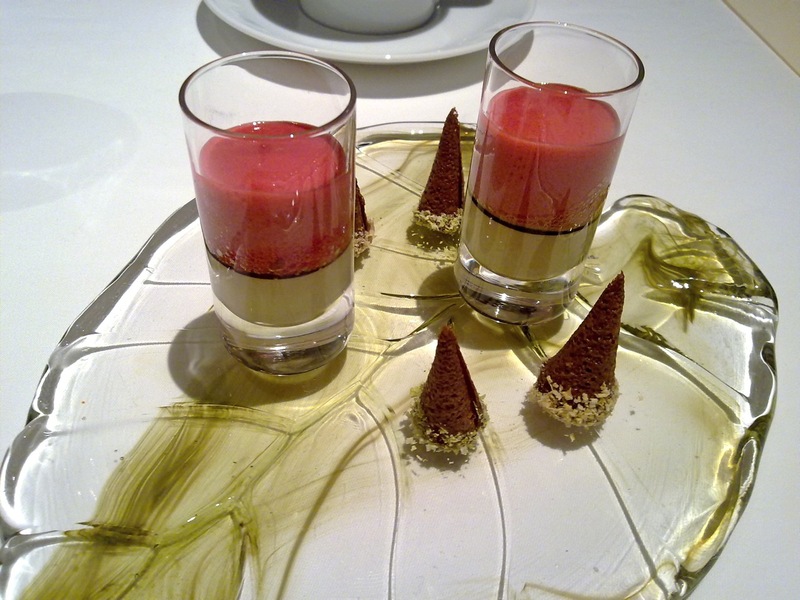 It is a 3-Michelin star restaurant helmed by a very youthful Chef Hajime-san and his wife. Chef Hajime-san used to be a computer programmer apparently, but it is to all our good fortune that he made the career switch. 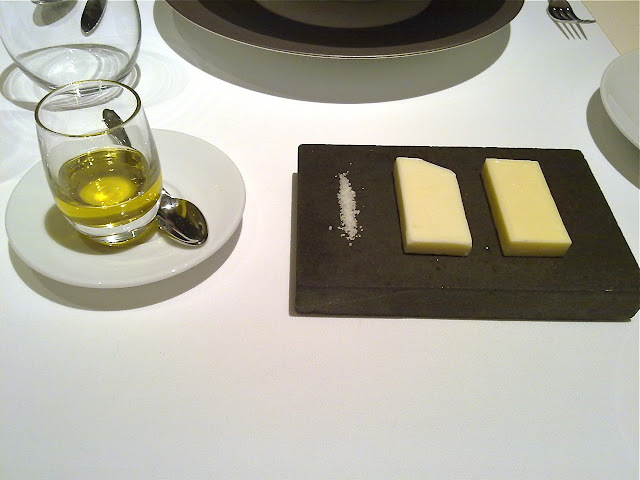 The first hint of this restaurant taking its food seriously was when we were served olive oil, salted and unsalted butter and a line of sea salt to accompany its breads (there were different breads for each course). The breads were fresh and well-baked, and went well with each course (they weren't there just for fillers). 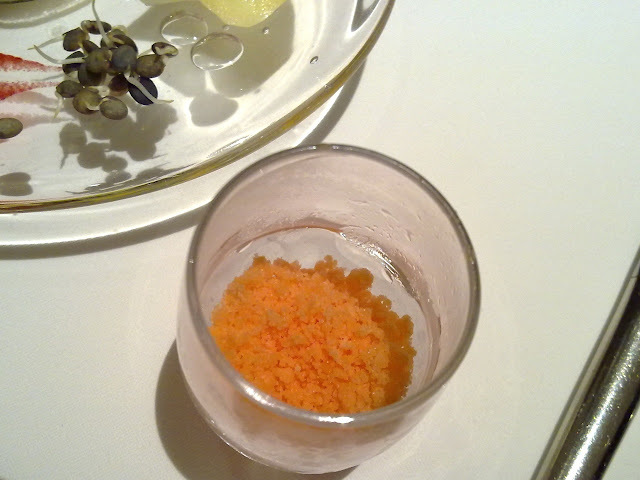 Every single course during this meal was to blow our minds. Amuse bouche was a duo of pastry with a generous dollop of caviar. 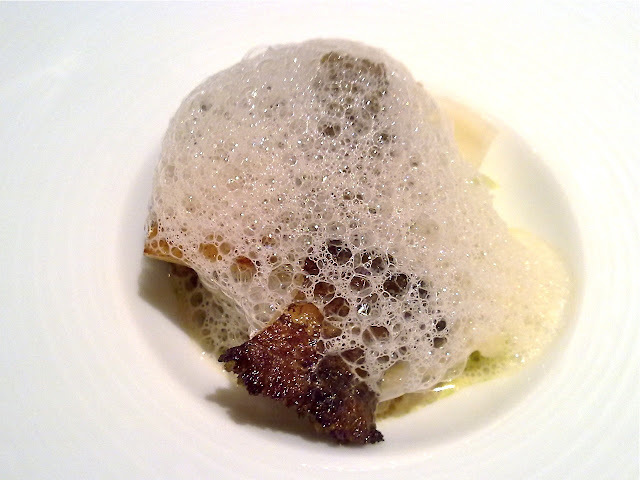 This was followed by a second amuse bouche of abalone in light broth topped with foam. 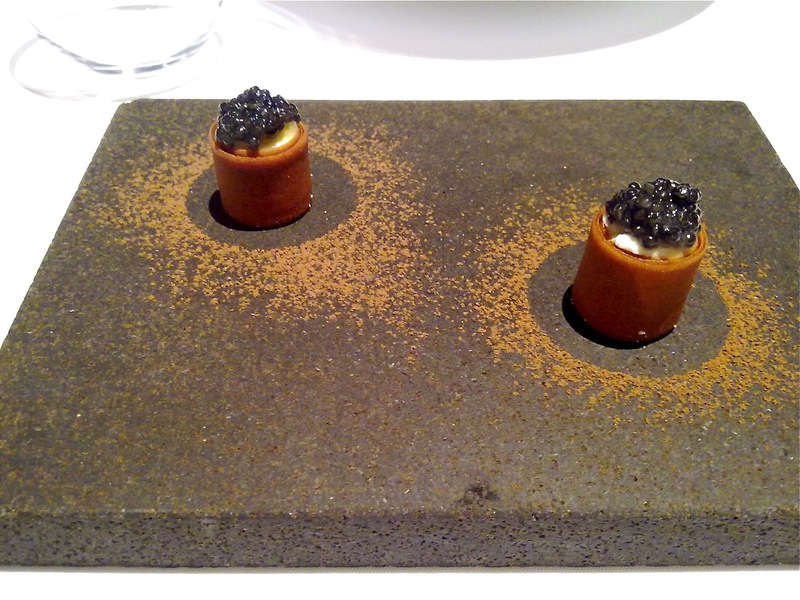 Neither of the amuse bouche would be out of place in the main menu of any other 3-star restaurant. By this time our expectations for the rest of the meal was justifiably blown sky high; fortunately, the chef did not disappoint. 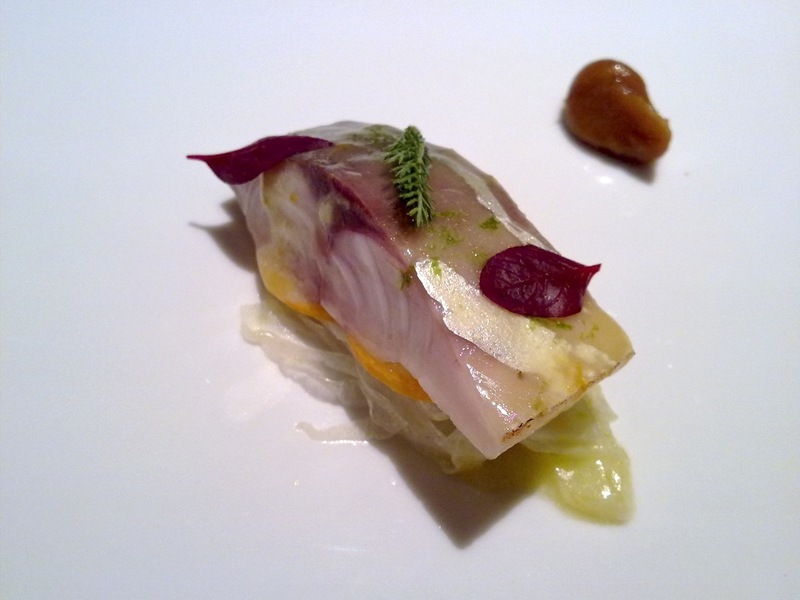 Saba - sauce of citron, chutney of lemon, fennel, Kinkan <Chinese orange>: the seared Saba sitting on a chutney of mandarin orange, lemon and fennel with citron sauce, which was still quite raw but nevertheless seared sufficiently to bring out the distinct flavour of the mackerel. The chutney and citron sauce helped balance off the strong taste of the fish. 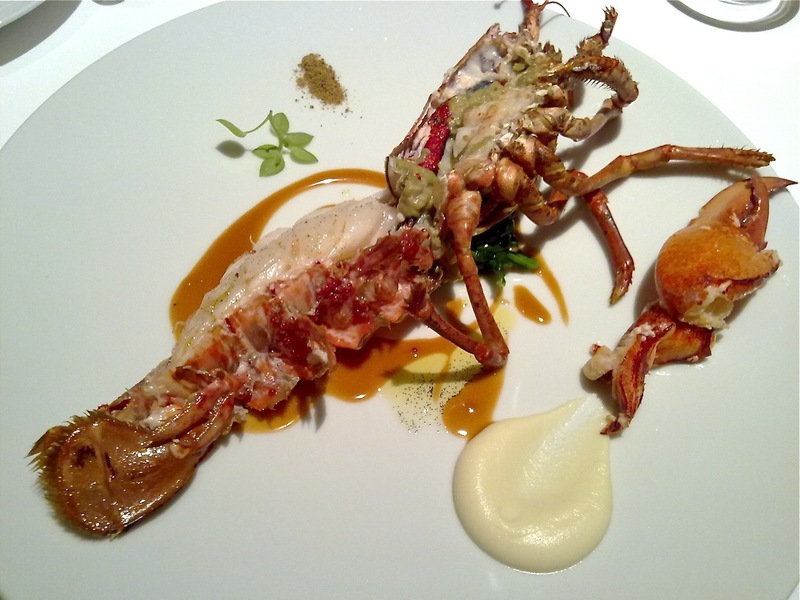 Homard - lobster from Bretagne, flavor of vanilla, powder of spices: the vanilla-flavoured poached lobster was excellent. Foie gras au naturel - foie gras with apple, sauce of white wine vinegar and sweet white wine and yogurt: an exquisite foie gras au torchon (the stick of apple accompanying the foie gras was a nice touch). 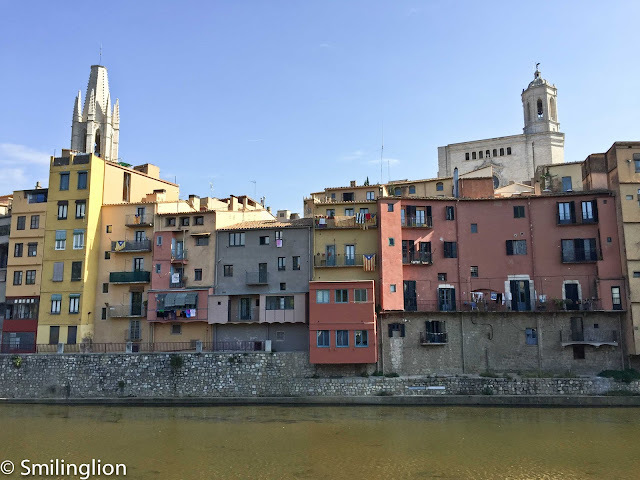 We love the torchon but cannot find enough restaurants who will bother to make it (it is a bit of a hassle compared to simply pan frying or searing a slab of foie gras); the one here was the best we'd ever had. 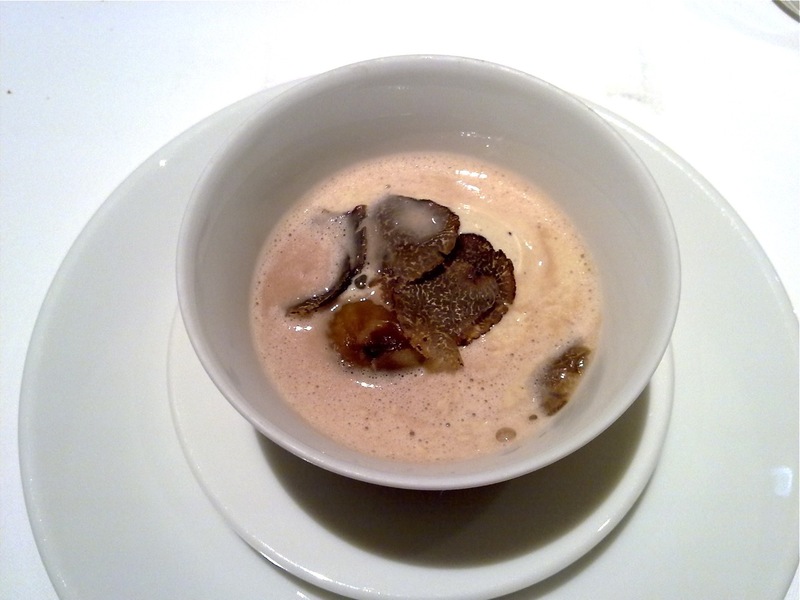 Chataigne - cream of vanilla and soup of chestnuts: a chestnut soup (done cappuccino-style) with cream of vanilla with black truffle shavings, as a palate-cleanser-of-sorts. Very nice. 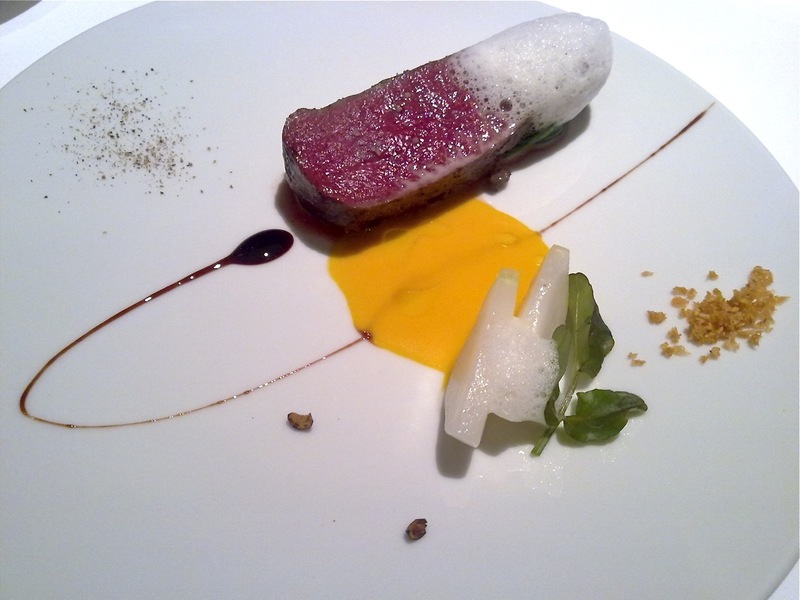 Chevreuil - japanese deer from Hokkaido, puree of pumpkin, turnip and juniper berry: a Hokkaido deer, seared and served medium rare and cooked to perfection. The seeds, foam and leaves all combined perfectly with the sauces and the meat. 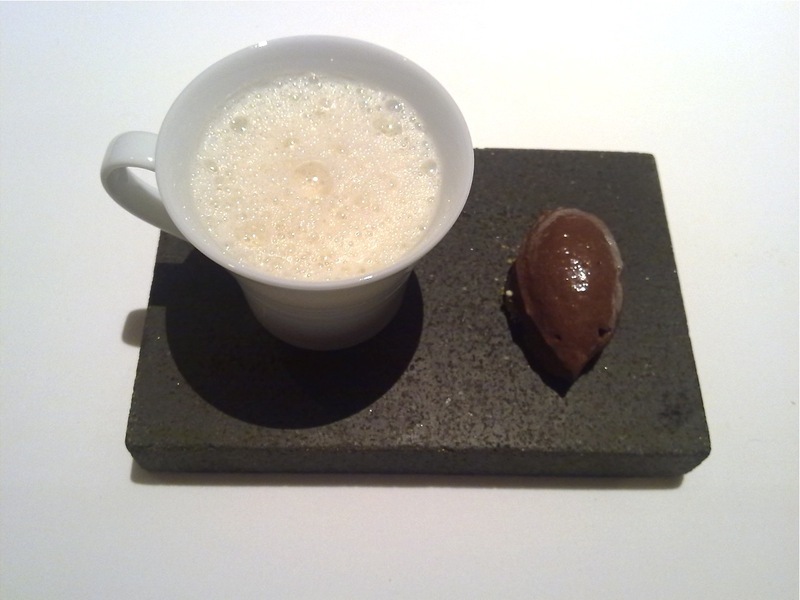 Chocolat/amande - ice cream of chocolate and almonds soup: Pre-dessert was a refreshing almond soup (Chinese-style) with chocolate ice-cream. Buche de Noel - cake of Christmas with strawberry, ice cream of caramel and Shimotsuke-Sou: a superb reinterpretation of the Christmas roll (we were there on Christmas evening): a white roll with caramel ice-cream filled with strawberries. 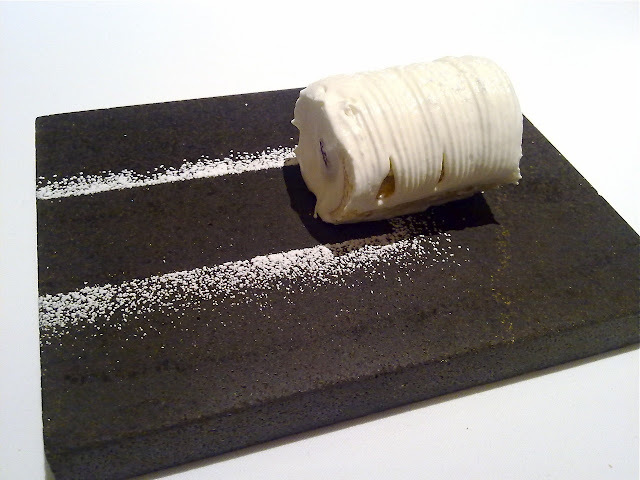 Swiss rolls are my favourite pastries so this was a real treat for me. By the time of our obligatory doppio espresso and petit fours, we had already agreed to come back here again hopefully soon. To top off the already warm but impeccable service throughout the evening, Chef Hajime-san and his wife very kindly came over for a chat and saw us off at the door. Undoubtedly one of our best meals ever, worthy of being the only 3-star restaurant in Osaka (at least for now). Final Thoughts: Undoubtedly one of the best non-Asian restaurants in Asia (that we have eaten at). 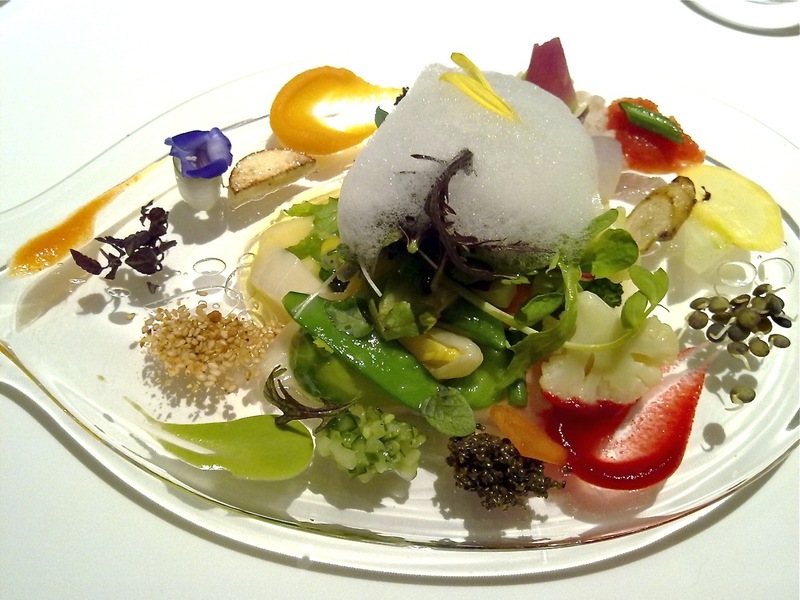 Execution that night was perfect and Chef Hajime-san has mastered the art of using raw vegetables and seed in a meaningful way in his dishes whereby each brings a special characteristic, taste and texture. Despite its lofty position as a three Michelin star restaurant, service continues to have a very humble yet professional and attentive feel to it.